Bruce as Treasurer for three years, brought the ICG into the 21st century putting ICG finances into a professional accounting program. 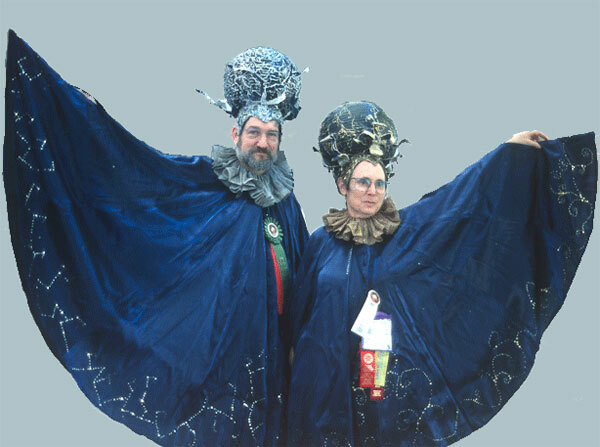 Strongly dedicated to Costuming as an Art Form and to sharing their abilities and knowledge with the Costuming Community, Bruce and Dana are active panel participants, Judges and have been on the staffs of several Costume-Cons. Dana was on the ICG Guidelines Committee and is proud to have been the author of the "Excellence Deserves Award" guideline.